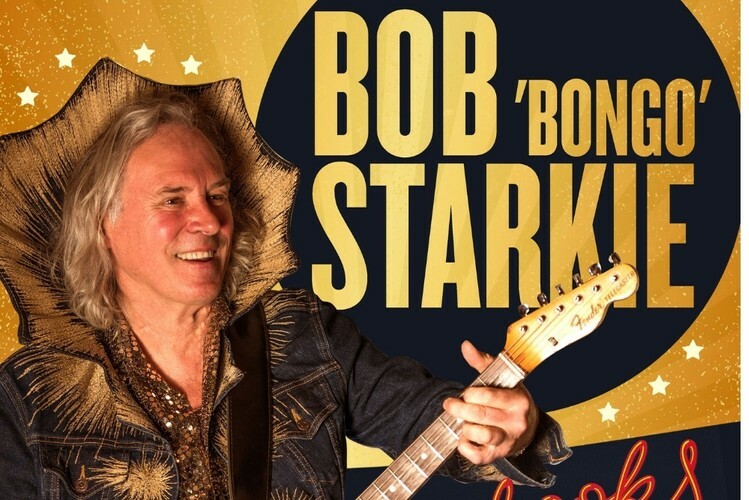 Bob ’Bongo’ Starkie, guitarist from the Skyhooks, has put together a band and show, playing all the hits and a few more that need to be heard. In between songs, Bob shares humorous anecdotes and insights into the inner workings of the Skyhooks, sharing entertaining recollections of Australia in the 70s and playing in the band, sharing the stage with the likes of AC/DC Sherbet then to America Uriah Heap, Joe Cocker,Little Richard, Roxy Music, Fleetwood Mac, Carlos Santana—mind blowing for boy in a band from the inner/outer suburbs of Melbourne. Razor sharp riffs and a lotta laughs!